Hello and welcome to the 14th issue of This Week in Amethyst, a blog bringing to you the latest changes regarding Amethyst, a data-driven game engine written in Rust. Discussions within Amethyst about a migration to nalgebra began in September due to calls by tomaka for the Rust game development ecosystem to standardize on a single library for math and linear algebra in his post "My gamedever wishlist for Rust". Eminent contributor Ellie completed the migration of Amethyst's internal math library from cgmath to nalgebra in this PR, marking another win for the Rust game development ecosystem and showing Amethyst's commitment to the larger community. Thank you Ellie! With the migration completed, a number of public APIs will change in Amethyst's next release along with updates to examples and documentation. Expect more details on the API changes in a future post. Thanks to Rhuagh, asset loading is now a bit easier (PR). to a pipeline stage and you get a skybox. 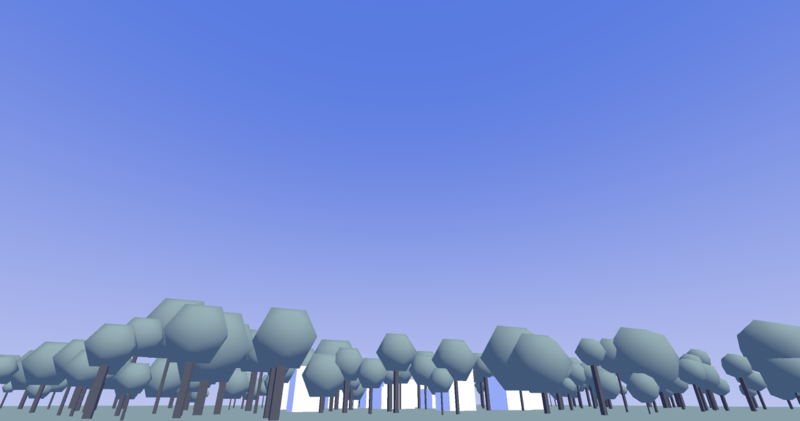 You can tweak it using the SkyboxColor resource. Check out the PRs here and here. Thank you for helping us keep our logs clean qqwa! The fifth Pong tutorial chapter is very close to being merged. Credit goes to Leorii for the amazing PR! If you want to, you can already check out the PR and add some comments in case you notice anything. There are so many other open PRs, if you're interested, you can check them out yourself here. Although not exactly an Amethyst discussion, there's a thread on internals.rust-lang.org that discusses a working group for Rust game development. More features, documentation and stability would be a huge help to Amethyst, so we would greatly appreciate such a working group. Make sure to bring in your input!